Welcome to the Hawkesbury and District General Hospital (HGH). This section contains information to help you better prepare for a hospital stay or a visit. Our team of 115 physicians and 775 employees is proud to provide you with quality health care services. For specific information about our services, exams and clinics, visit Programs and Services. Our patient and family-centered care approach aims to meet your health care needs, in every dimension of care. You are invited to make decisions about your care and treatment and actively participate in them. We partner with you by providing important medical information and answering your questions. Our goal is to provide you with care that is respectful; compassionate; culturally appropriate; in the official language of your choice and of the highest quality. you informed, and make you and your family’s well-being my priority. The Hawkesbury and District General Hospital (HGH) removes barriers and provides access to its facilities, programs and services for people with disabilities, according to the standards of the Accessibility for Ontarians with Disabilities Act, 2005 . Please ask your nursing staff if you need help or services adapted to your condition. The Hospital, upon request and in consultation with the person making the request, provides or makes arrangements to provide accessible formats and communication supports for people with disabilities in accordance with AODA Integrated Standards Regulation. Accessible formats and communication supports will be provided in a timely manner, taking into account the person’s accessibility needs and at a cost that is no more than the regular cost charged to other people. For more information on HGH’s accessibility initiatives and multi-year plan, visit the section Quality and Performance. On the day of your scheduled hospitalization, go the registration desk for the admission procedures. Patients who will be giving birth in our Family Birthing Centre may register up to three weeks in advance. Inform the nursing staff if you have allergies. Perfumes, hand lotions, aftershave and other beauty products have scents that can trigger allergic reactions or irritations. Please do not wear scented products and ask your visitors to refrain from wearing them. Latex may cause severe allergic reactions. Latex balloons are not permitted in the hospital. You may buy balloons made of mylar (aluminum) at the gift shop. You may use your wireless devices in the hospital. Please speak quietly; use headphones and respect the privacy of other patients, staff and visitors. A free Wi-Fi network is available throughout the hospital. Even if your device is equipped with a camera, you must obtain people’s permission before taking pictures or videos of them, or recording conversations. All information gathered about patients remains confidential. If you have any questions about confidentiality, please contact the Chief Privacy Officer at 613-632-1111, extension 21501 or by email at CPO@hgh.ca. To learn more about personal information and privacy rules, visit Ontario Government Services. To respect the confidentiality of information and the privacy of patients, visitors, volunteers and staff, you must obtain permission before taking pictures and videos or recording conversations. As a public institution, Hawkesbury and District General Hospital is subject to the Personal Health Information Protection Act . For information on making a request for information, visit the section Quality and Performance. When you’re deemed ready to leave the hospital, your attending physician will indicate it in your record. Prescriptions and other medical treatments will also be noted in your record. Staff will notify you of follow-up appointments. You must leave the room by 11:00 a.m. Please make transportation arrangements to return home in advance. In the event of a fire, stay in or return to your room. Please remain calm. If an evacuation is necessary, staff or the fire department will assist you. Staff members conduct evacuation drills on a regular basis. These exercises do not involve patients. A nursing staff will inform you about an ongoing or upcoming drill. The door to your room will close automatically during an evacuation drill. Hand washing is the best way to prevent infections. All patients, staff and visitors share the responsibility of preventing infections within the hospital. Wash your hands before every meal. Our staff will provide you with the required material if you can’t get out of bed to clean your hands. If your family helps you at meal time, ask them to also wash their hands. All persons entering or leaving the hospital or a patient’s room must wash their hands. Staff must wash their hands before and after a contact with a patient. Hand sanitizer is available at all hospital entrances and exits, in the hallways and in every room. Visitors of patients in isolation must follow the nursing staff instructions, which may include wearing special personal protective equipment such as a mask, gown and gloves. Hand hygiene is an essential component of patient safety and HGH has surpassed provincial standards in hand hygiene compliance rates. HGH staff and volunteers produced an amateur video to celebrate the success of its hand hygiene program. Watch them as they Keep it Clean! Found objects are sent to the Security office where they are kept for one month. If you have lost an object, notify the nursing staff and they will contact the Security Office. Lunch is served from 11:30 a.m.
Dinner is served from 4:30 p.m.
You may choose some menu items depending on your condition. To obtain information about nutrition or to consult a dietician, please ask the nursing staff. Your medical record is confidential. It contains information such as treatments received, examination and test results, medication, etc. You must give written consent for HGH to share information contained in your medical record. You can access your medical record upon request by contacting the Health Records Department at 613-632-1111, extension 41801. For more information on accessing and the protection of your medical record, consult the section Quality and Performance. You may obtain services in the official language of your choice: English or French. One donation can save up to 8 lives and enhance the quality of life of 75 other people. ￼Making an organ and tissue donation is a personal decision. If you choose to make a gift of life, tell your family. For your choice to be known and respected, register your consent with Service Ontario, in person or online. For more information on organ and tissue donation, please speak with your nursing staff or visit Trillium Gift of Life Network. Palliative care is intended for patients at the end of their lives to provide them with the best quality of life possible under the circumstances. Palliative care aims to alleviate patient suffering when a cure for the illness is no longer possible. The palliative care team is attentive to the person and their family’s needs. The team provides compassionate, physical, emotional and spiritual care, while respecting the dignity and choices of the person. A valid health card issued by a Canadian province covers the hospitalization costs in a standard ward (4 beds). If you wish to have a semi-private room (2 beds) or a private room, you must fill out an application form. There are additional charges for these types of rooms and you should check with your insurance to see if the charges are covered. Your request will be fulfilled depending on the availability of rooms. Sit in a chair for your meals. Get up to get washed and dressed or to brush your teeth. Walk the corridors of the patient care unit, alone or with help if needed. Sit in a chair during visits from healthcare professionals or family members. Exercise in bed, move joints and change position at least every two hours. Staying or receiving treatments in a hospital might be stressful for some people. Being informed and involved in you care plan will make your stay safer and more pleasant. Patients who participate in their health care usually have a faster and better recovery than patients who don’t. If you have a patient safety concern, please contact the HGH Quality and Risk Management Office at 613-632-1111, extension 41800. Please inform the nursing staff if you had a fall in the past three months as you could be at risk of falling again. Take these precautions to avoid falls. Use the equipment at your disposal: side rails of your bed, grab bars in the bathroom and handrails in the hallways. Ask the nursing staff if you need help with tasks such as getting in and out of bed, going to the bathroom or moving around. If you feel dizzy, notify the nursing staff. Your bed should be low enough for your feet to touch the floor when getting up. If not, ask the nursing staff to adjust the height. Bring your cane, walker or wheelchair, if necessary. Keep personal items such as eyeglasses and hospital call bell close at hand. Notify the nursing staff if you see puddles on the floor. All physicians, staff and volunteers wear a photo identification badge. Staff must establish your identity before providing care. If you are unsure of a person’s identity or purpose in your room, ask them to show you their badge. The right type of medication and the right dosage are important to your treatment. Bring the list of medications that you are currently taking. Indicate the dosage (quantity and frequency). Your pharmacy may help you with this list. It should include all your prescription drugs, over-the-counter medications, vitamins, supplements and herbal medicines. If you have had an adverse reaction to medication or if you have allergies, tell the nursing staff. If your medication looks unfamiliar, do not take it and notify the nursing staff. Never use medications prescribed to someone else, as they may be harmful to your health. Please inform nursing staff if you think you may be pregnant. If you don’t understand, ask for more explanations. Personal hygiene is part of our daily patient care. The type of bathing technique used will depend on your condition and could be: bed bath, partial bed bath, therapeutic bath, shower or tub bath. The only pets allowed in the hospital are service animals, for example, guide dogs for blind people. Service animals must be kept on a leash at all times. Quitting smoking can help you heal faster after treatment and reduce your risk of complications. We offer a smoking cessation program for patients who wish to quit while in the hospital. Please ask your doctor or nursing staff about this program. Quitting smoking will improve your health condition and ease your recovery. If you wish to quit smoking and need help, please ask the nursing staff about our Smoking cessation program. MyQuit.ca is a program designed by ex-smokers and healthcare professionals to help smokers quit or reduce their tobacco use with a tailored approach based on their individual needs. The program offers one-on-one and group sessions, telephone coaching and online support. For more information, call 1-877-376-1701 or visit MyQuit.ca. For proven, free and personalized tools to help you quit successfully call 1-877-513-5333 or visit Smokers’ Helpline. The Eastern Ontario Health Unit offers a resource guide through its Quit Smoking Online App. Please note that HGH staff cannot assist or accompany patients off hospital property to smoke. Patients needing hospital equipment such as IV monitors must not leave the property. As a patient, you may be exposing yourself to unnecessary health and safety risks if you decide to leave the hospital property to smoke. HGH is 100% smoke-free, inside and outside the hospital. This means that smoking is not allowed indoors or anywhere on hospital grounds. Effective July 18th, 2016, HGH is 100% smoke-free, inside and outside the hospital. This means that smoking is not allowed indoors or anywhere outdoors (including parked vehicles) on hospital grounds. The smoking ban includes all cigarettes, cigars, pipes, electronic cigarettes, vaporizers and medical marijuana. The non-smoking policy applies to everyone on hospital property: patients, visitors, staff, physicians, volunteers, students, contractors and suppliers. If you smoke on hospital property, you may receive a $305 fine. All interior facilities, sections, areas and wings of the hospital. All exterior grounds and parking lots. 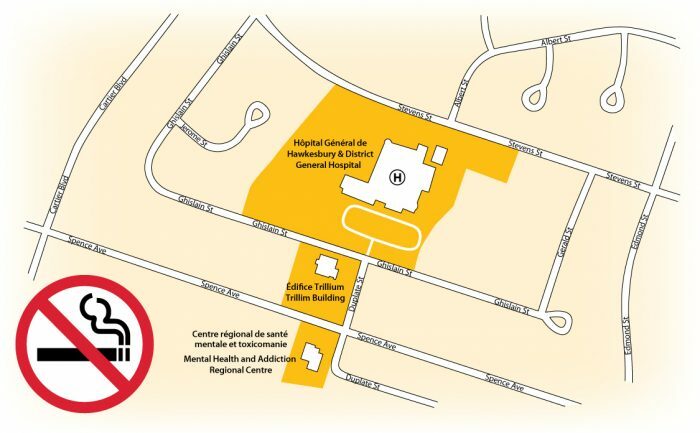 Hospital property also includes the Mental Health and Addiction Regional Centre located at 580 Spence Street in Hawkesbury and the Trillium Building on Ghislain Street. As a hospital, HGH is subject to the Smoke-Free Ontario Act. The Eastern Ontario Health Unit (EOHU) has the responsibility to respond to complaints and issue fines. HGH will cooperate with the EOHU on this matter. If you smoke on HGH property, you may receive a $305 fine. As a patient, you are the most important person on your care team. You will be treated as a mature individual having the ability to make decisions about your life. HGH patients have rights and responsibilities. Be treated with respect, kindness and fairness. Receive culturally sensitive and effective care, in the official language of your choice. Receive care and services in a way that respects your dignity and your privacy. Participate in the development of your care plan. Be informed of the names and roles of the people on your care team. Ask questions about your diagnosis, treatment and prognosis and receive timely answers in a clear and easy to understand manner. Receive relevant medical information allowing you to make informed decisions about your care. Be informed of the hospital’s policies that apply to you. Refuse care, as permitted by law. Expect that your personal health information will be treated in a confidential manner. Appoint a person (Substitute Decision Maker) to make, or help you make, decisions about your care. Treat those who look after you with courtesy and kindness. Report for medical appointments on time or give notice if you are unable to attend, allowing another person access to care. Respect hospital policies and regulations. Provide pertinent and accurate information regarding your medical history. Inform the Privacy Officer if you believe that your personal health information or someone else’s was used inappropriately. Be involved in your care plan, express your opinions and concerns and follow the agreed-upon plan. Be considerate of other patients’ privacy, property and rights. We recognize the importance of spiritual values and respect the different religious beliefs of our patients. If you would like moral support or the visit from a member of the clergy, ask one of the pastoral volunteers. All rooms are equipped with telephones. To make a local call: dial 9, then dial the telephone number. To make a long distance call: dial 9, then 0, followed by #. You may request a collect call, use a calling card or a credit card. To receive a call: give your room number to the people who will be contacting you. They can reach you between 8:00 a.m. and 10:00 p.m. by calling 613-632-1111, extension 0 and asking for your room number. To rent a television set, please fill out the form available in the wards and give it to the nursing staff. Rental fees are payable in advance. Please use the headphones supplied with the television. The list of medications that you are currently taking. Indicate the dosage (quantity and frequency). Your pharmacy may help you with this list. It should include all your prescription drugs, over-the-counter medications, vitamins, supplements and herbal medicines. Clothing and shoes: pajamas, bathrobe, slippers, underwear, socks, etc. Toiletry: toothbrush and toothpaste, razor, non-perfumed deodorant, soap, shampoo, comb, hairbrush, etc. The hospital is not responsible for theft or damaged objects. Furthermore, Hawkesbury & District General Hospital (HGH) removes barriers and provides access to its facilities, programs and services for people with disabilities, according to the standards of the Accessibility for Ontarians with Disabilities Act, 2005 . 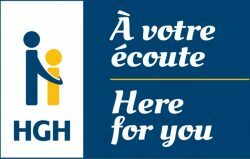 HGH provides services in French and English. An ATM is located near the main entrance. The cafeteria offers visitors and staff a variety of snacks, and hot or cold meals. 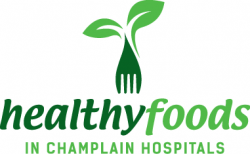 HGH is a member of Healthy Foods in Champlain Hospitals, aligned with our mission to promote health. Therefore, we have replaced fried foods and sugar-sweetened beverages with more nutritious options in order to provide you with healthier choices. A coffee vending machine is located at the Emergency entrance. Vending machines are located in the cafeteria and near the main entrance. Weekends and civic holidays: 9:00 a.m. to 3:00 p.m.
We encourage patients and families to wash their hands before meals. Visitors of patients in isolation must follow the nursing staff instructions. Reception clerks provide general information and guide you to your destination. The information desk is located at the main entrance and is open from 7:30 a.m. to 3:30 p.m., Monday to Friday. The parking fee is $5.00. There are no in and out privileges. You may pay for parking using cash, credit or debit card through indoors or outdoors automated pay stations. Weekly parking cards are available at the Finance Office. Visitors must not park in the Emergency area. Accessible parking spaces are located near the Emergency entrance and in the visitor parking. Visitors should use public washrooms rather than the toilets in the patients’ rooms. Public washrooms are clearly identified and located throughout the hospital. A team dedicated to the safety of people and premises is on duty 24 hours a day, 7 days a week. Security officers wear a uniform. To report an unsafe situation, notify the nursing staff. Because we care about your health, the entire HGH property is now smoke-free. Our smoke-free policy aims to protect people from exposure to second-hand smoke and to help smokers quit. Families are welcome to visit inpatients 24 hours a day according to patient preference or substitute decision maker (SDM). There is no set number of visitors per patient. The patient and their family, in collaboration with the care team, will determine the number of people welcome at the bedside at any one time. Accompany young children at all times. Comply with infection prevention notices. Protect patient safety by helping with infection control. Do not visit patients if you have the following symptoms: fever, headache, sore throat, chills cough or muscle pain. Visiting may be restricted in case of communicable disease outbreak. The group Friends of the Hospital enhances the quality of life for patients and visitors. Volunteers provide assistance in several sectors of the hospital: palliative care; pastoral care; clinical, patient and administration services. Volunteers are easy to identify with their blue smock. To become a volunteer at HGH or for more information on the services provided by Friends of the Hospital, visit Volunteers. The Emergency Department operates 24 hours a day, 7 days a week. Our physicians and nurses provide emergency medical care for adults and children. For more information about the Emergency Department, visit Programs and Services.